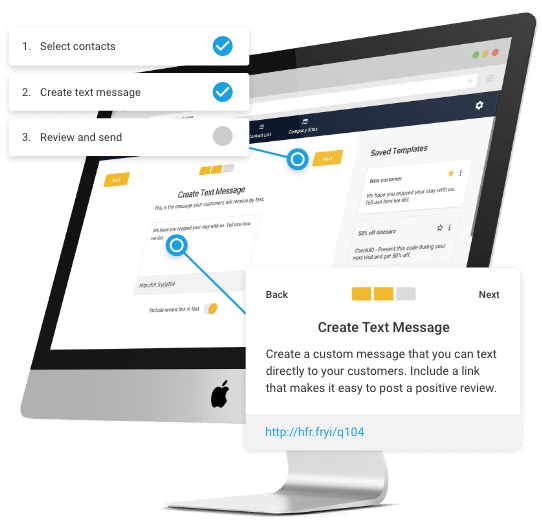 Text your customers. It’s that simple. 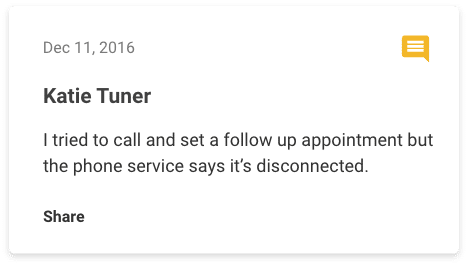 Message customers, get reviews, improve your business. No annual contracts. Pay when you’re ready to Upgrade. 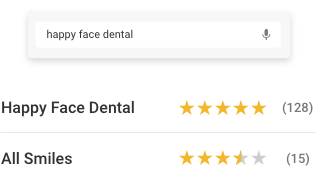 Get real reviews from satisfied customers that increase brand trust and impact your local search engine optimization (SEO). ways to improve your business. Encourage and collect reviews that will build your online presence and increase brand trust. 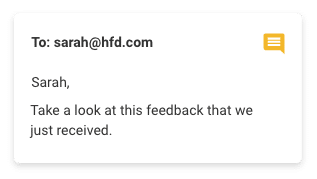 Receive customer experience feedback with your brand and identify ways to improve your business. 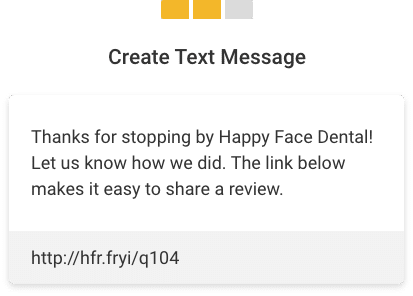 Market right to your customers mobile device with a link that encourages them to leave a review about their customer experience with your business. Connect your business pages on Facebook, Google, and more to collect reviews and build your online presence. Receive valuable customer feedback that can help you understand where you can improve as a business. Monitor and share internal feedback that will help you make informed business decisions. 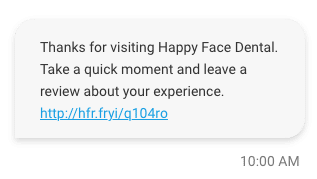 Happy Face Reviews allows you to connect with your customers through text to collect reviews and customer feedback to build your brand.